Our Craft Hatch artist for the month of May is Allysha Coghlan of textiles label Reckless Exuberance. 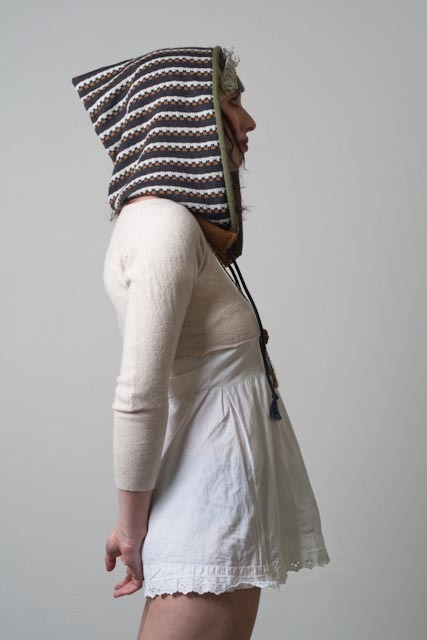 A recent RMIT graduate, Allysha launched her label not too long ago with a range of products including knitted backpacks, hoods, neckpieces and headwear - perfect Autumn accessories! 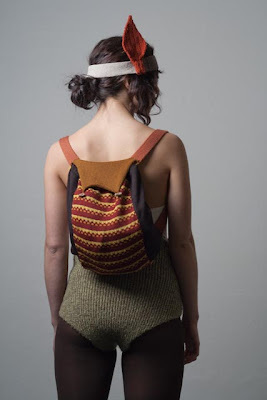 We first came across Allysha's work at one of the loveliest shops in Melbourne, Dagmar Rousset (157 Gertrude Street, Fitzroy) and were bowled over by the knitted backpacks (pictures to follow below!). You'll be able to get your hands on said backpacks through our online shop soon - it'll be up next week! So without further ado, here's an interview + studio visit for you to enjoy. Enjoy! Hello Allysha! Please tell us more about yourself and your label, Reckless Exuberance. I completed a degree in Textile Design in 2009 at RMIT. This was an amazing adventure where I learnt so much about textiles, how to create them and the endless possibilities they have. 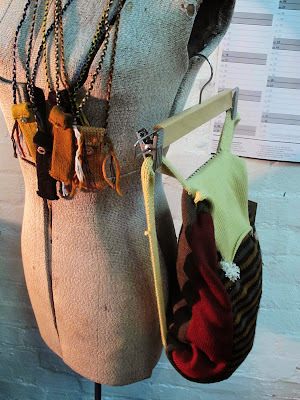 I always loved working with textiles, I realized this in high school and experimented with handcrafts a lot. In the textile design course I majored in knitting which I adored from the beginning. 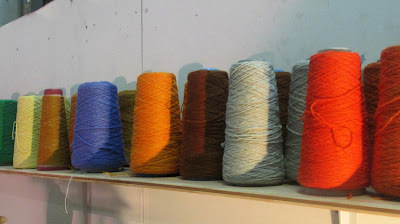 Working with yarn, colours and creating patterns and textures excited me so much. When I finished my degree I moved into a studio with some friends and continued experimenting with my knitting but also focused on creating entire objects, which is something I hadn’t had much of a chance to do throughout the course. The process of gaining inspiration and then taking a journey into creating a functional object is something I really enjoyed. 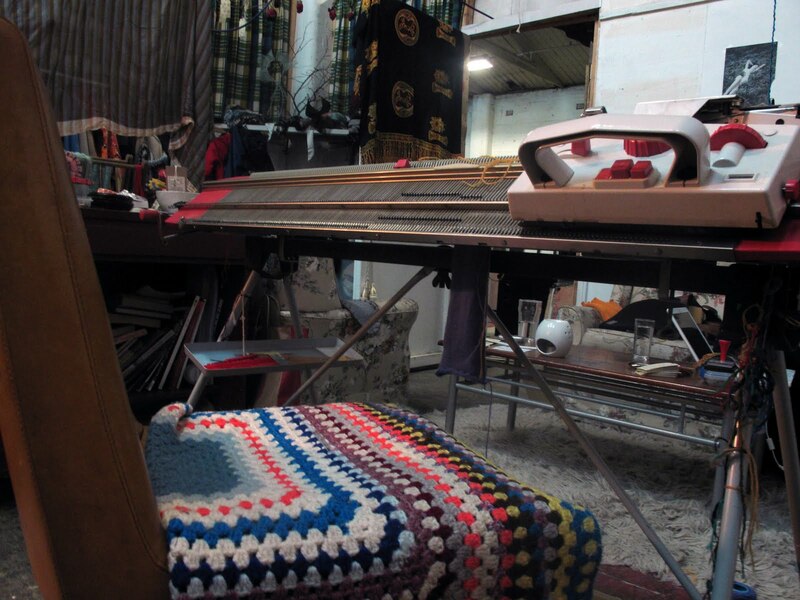 Through this experimentation I wanted to push the idea of what knitting should/can be used for. 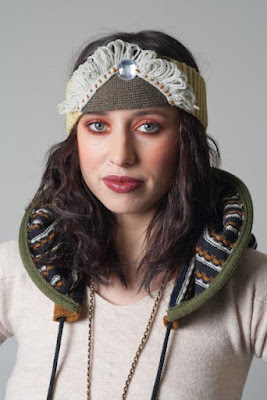 I felt as though people use knitting for a finite purposes, when really the possibilities are endless. 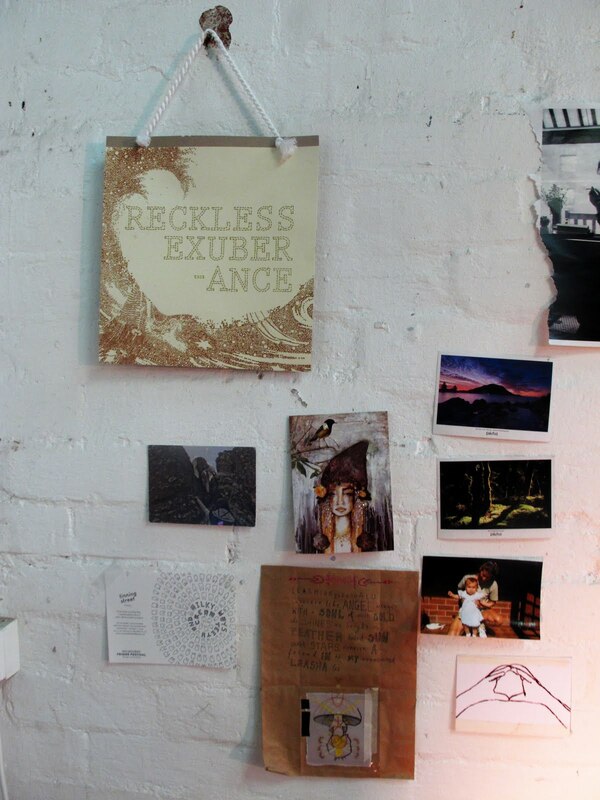 From this I developed an array of products, which lead me to create my label, Reckless Exuberance. What it’s like to produce one of your products from start to finish? We’d love to hear what processes and materials are involved! It begins with an idea., whether this be a colour combination, a product concept or a pattern. I take this to my knitting machine along with some yarn and we play around for a while. Often I make mistakes that lead me in an entirely different direction to what I had initially imagined. My Passap knitting machine can be temperamental just as I can throughout this process and it can be slow at times but once a product is developed and recorded then I can continue on another venture. This is recreating the same product in varying colours, sizes and patterns as I generally make one-off pieces. It’s a journey that I love for all its twists and turns. Pieces are made, joined together, embellished and finished. It’s a magical journey that is exciting. Speaking of materials, please tell us more about the materials that you use. How does sustainability play a part in your practice? Materials-wise its all about the yarn. I have begun using mostly wool, at least for my winter items. 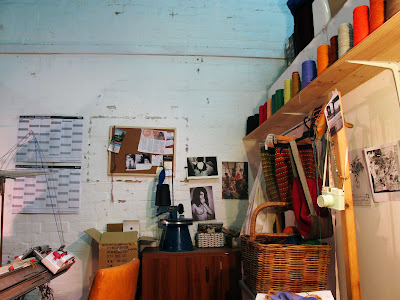 I get all my yarn from a local shop in Coburg called Yarn Barn [CLOG: psst, Craft Vic members enjoy 10% off at Yarn Barn!] who have the most amazing array of colours. I am bewildered every time I go there. As I was unable to find the buttons that I desired I began making my own buttons from polymer clay. 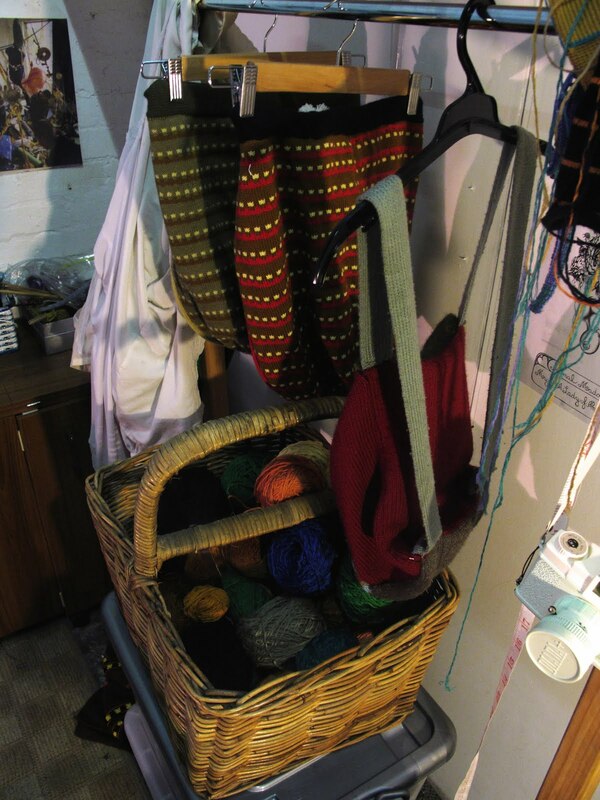 This is also a wonderful process, which allows me to explore shapes and colours combinations suited to my knitted pieces. 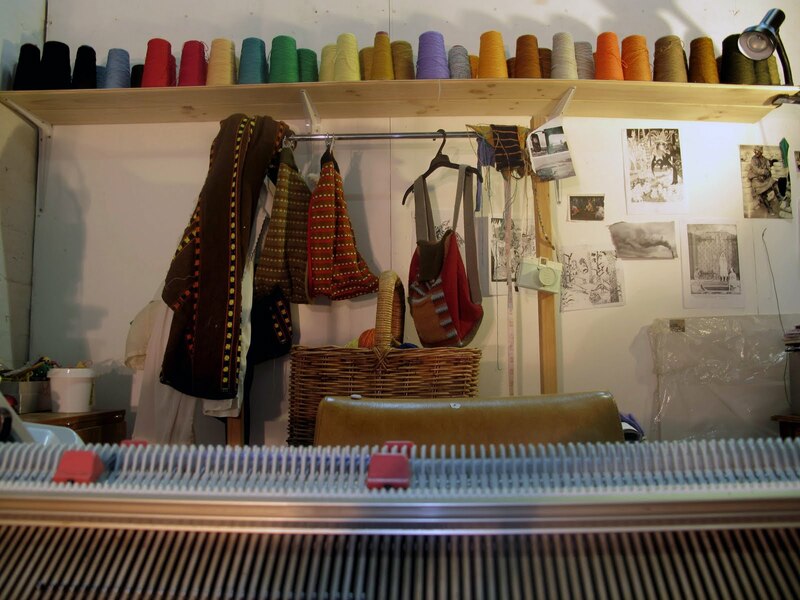 In relation to sustainability, aside from using natural fibres my process is a particularly sustainable one. There is barely any waste as each item it made to the right shape for the product rather than being cut and sewn. 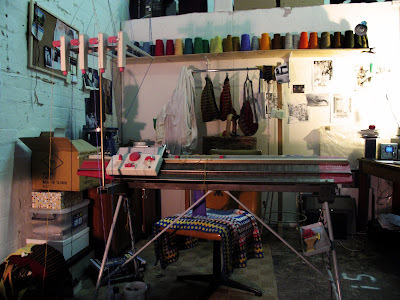 My knitting machine and linker are both manually run by me which means no power is used. All finishing and embellishments are also done with my own two hands. I value these aspects and think they contribute to the individuality and beauty of each piece. What do you have planned next for your business in 2011? I have just committed to working on my business full-time. This is rather exciting, as it has usually come secondary to other commitments. I’m hoping to expand my business significantly by selling regularly at markets, online and hopefully in some more retail stores. I currently stock select products in a beautiful shop on Gertrude Street, Fitzroy called Dagmar Rousset, which I hope to continue. I am also working on expanding into fashion garments. I hope to always allow my product range to evolve and change. What other skills would you like to learn? I have attempted to learn how to spin my own yarn. I tried in high school but I think I would like to return to this. Handspun yarn can have such a lovely organic feel to it. It is a nice process too, taking something from such a raw form into something you can knit with. The unique handcrafts in traditional textiles around the world offer infinite techniques I would like to learn. The embroidery of India, Thailand and South America are skills I would like to learn. Being more of an artistic person than a business-minded person I have taken it upon myself to learn how to run my business on a more professional level. I have recently completed a business course and gained many new skills in financials and marketing. Now it is a matter of putting these skills into play. Who are some artists or fellow makers who been an inspiration for you? There are many artists and makers that have inspired me but to name a few, the works of Vali Myers, John Olsen, Icelandic Love Corporation, Celia Birtwell and Tamar Mogendorff have all affected me. In relation to knitwear Jenny Kee, Rodarte and Purl Harbour have all influenced me, and my work. There are so many more but I find it hard to recollect them all. I often find myself inspired by people and places. One of my favourite things to do is attend festivals deep in the bush where people move and dress with such reckless exuberance. In these places people are uninhibited and free in the way they move, dress and interact. I observe and become very inspired here. People and their expressions and interactions wherever they may be are things I observe and that I think influence my work. I find myself particularly inspired by nature too. Looking up close and from afar at the obscure elements, textures and colours that occur naturally is something I always do. Whether in the bush or even in Brunswick, where I live, there is always beautiful plants, creatures and such that present amazing inspiration. I find the magazine Dumbo Feather with its brilliant articles and photography to be a great source. I like to look in sci-fi illustration books that I have collected and old National Geographic magazines that my father gave me. Books and magazines of all kinds inspire me. I often go to my local library to explore and find information. And finally, what can we expect to see at the May Craft Hatch market? Any favourite products of yours that we should keep an eye out for? At the May Craft Hatch much winter warm goodness will be on offer. Long gloves and hoods are key items for rugging up. Backpacks and neck-pouches will be on offer, both of which are functional and yet still fun. 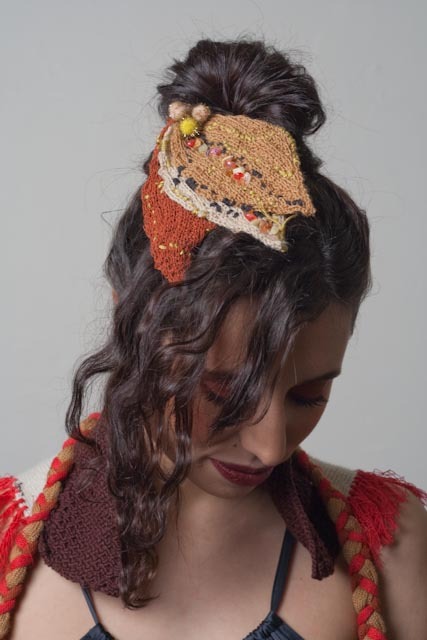 Knitted headpieces will also be available which come in all different shapes and are a great finishing touch for an outfit. Allysha will be at the next Craft Hatch on Sat 14 May at the City Library, 253 Flinders Lane from 11am-4pm. See you there! I love Allysha's process all by hand. 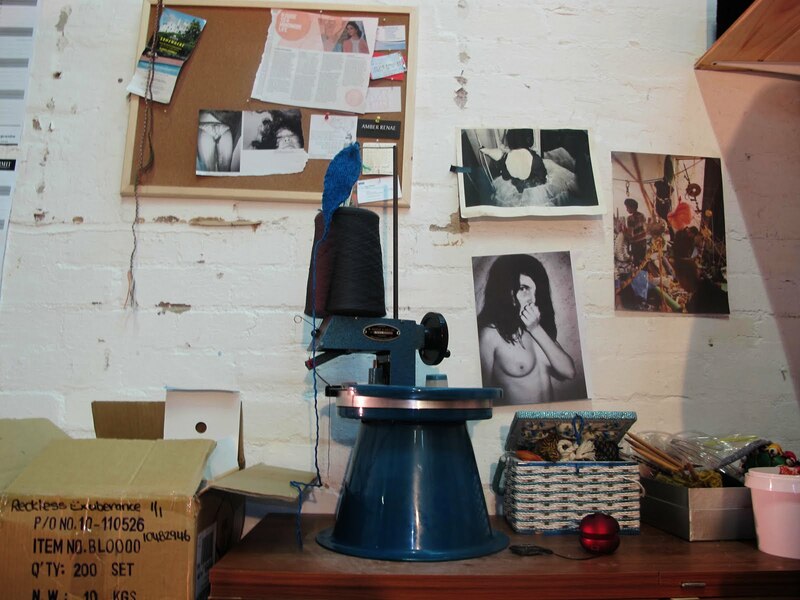 And really enjoyed this introduction to her work and studio, very exciting and inspiring. I look forward to seeing much more to come!